I have to admit that Korres is rarely the first brand that springs to mind when making my beauty choices but I've always liked the products I have tried from them, particularly the delectable lip butters. I was sent their Quercetin & Oak Night Cream to trial which I've been using for a few weeks. 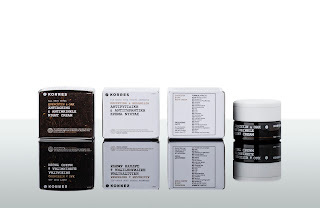 The first thing I noticed about Korres Quercetin & Oak Night Cream was the muted & clinical packaging. I guess this is a little strange for a brand which is normally associated with being earthy & naturally focussed. 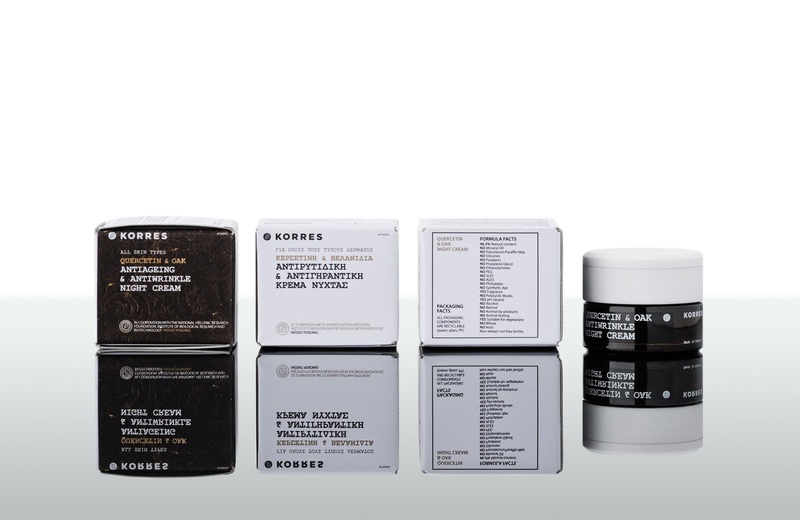 I have found that Korres packaging falls into two camps- either enticing, per the shower gels, or non-descript and I'm afraid that I felt this product felt into the latter category. It's a dark brown glass jar with a white lid which didn't look particularly appealing on my bathroom shelf, nor did I feel it was reflective of the price tag. However, I liked that all of the packaging is recyclable. The packaging also disguises the fact that it's actually quite a generous jar of product. There are no specific instructions on how to use the product so I simply incorporated into my normal nighttime regime. I was anticipating a natural, possibly herbal scent and was a little disappointed that the cream didn't smell like this- although not unpleasant, it had a fragrance which reminded me of clay based masks I've tried in the past. I absolutely loved the texture- it sank into my skin beautifully, leaving it feeling hydrated & soft and looking plumped. A little goes a long way so although Korres Quercetin & Oak Night Cream is pricey at £39, I do feel confident that the jar would last well which goes some way to justifying the purchase. I would recommend Korres Quercetin & Oak Night Cream to anyone wanting firmer & more nourished skin but without the heaviness of other night creams. The texture and fact that sinks straight in make it sound quite appealing. Often I find night creams very heavy. I think the packaging could be forgive if the smell had been more enticing. I suspect I might not enjoy using something before bed that smelled like a clay mask. I like a nice scent to drift off to sleep with! i really like the honest way you spoke about this product , thanks, i would like to send you my new sos oil,, "save our skin" i hope you like it , i made it for very stressed skin. its not been launched yet , just my high profile celebrities are using it. i'd love your valid opinion .